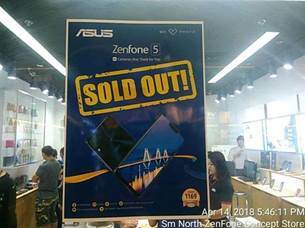 ASUS’ ZenFone 5 became sold out, and people are clamoring for more! 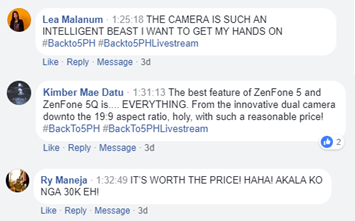 PASIG CITY, Philippines (18 April, 2018) – April 14, 2018 will forever go down in the history books of ASUS Philippines as one of its most momentous days – and not just because the company successfully went #Backto5 with their ZenFans, media partners, and dealers during the official ZenFone 5 Series launch event held in One Esplanade. This day marked a whole new reason for ASUS Philippines to celebrate, as within just minutes after they revealed the official pricing of the ZenFone 5 Series, end-users went to the nearest ASUS and ZenFone stores in major malls in droves, eager to get their hands on the latest generation of ZenFones, now made available nationwide. With fans racing to experience the ZenFone 5 series, the ZenFone 5 was declared sold out in just 45 minutes!This was also true for on-site sales during the launch event itself, which brought the total sell-out of 1,000 ZenFone 5’s and ZenFone 5Q’s combined in just under an hour of their first day in the country. Fans who tuned in found themselves happily surprised at the official released specs of every phone, coupled with their bang for the buck prices. “As a professional Photographer, I find Zenfone 5 as a device that speaks art, sees art, and hears art. It’s my best tool to tell stories artistically anywhere and everywhere I go,” shared Emir Kahn Bautista, a known Wedding Photographer and the newest name to be included in roster of Pixel Masters. 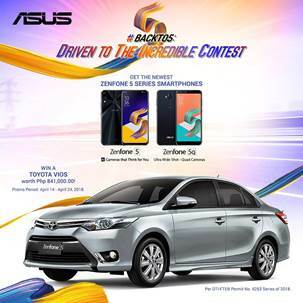 ASUS certainly has their eyes on the prize, as they continue their development of what they were best loved for – mobile photography. The newest ZenFone 5 certainly raised the bars, entering the competition strong with its newest and latest AI camera technology that allows anyone the best photo taking experience a smartphone can offer. The ZenFone 5 and ZenFone 5Q has officially been made available nationwide since April 14, 2018 and are also for 0% interest on Home Credit for 6 months. The ZenFone 5 is priced only at PHP19,995.00 and the ZenFone 5Q is for the affordable rate of PHP 16,995.00.